NYC hill running in lower Manhattan is more difficult than you’d imagine. Why? There are no hills! Bored with flat? “Build a bridge out of her!” Enter The Williamsburg (a.k.a. The Willy B) Bridge. The Rise family is always looking for a good challenge. And running hills repeatedly is a great one. We set the timer for 30 minutes and set off to conquer this hill. Up and down the pedestrian access from the Manahattan side the graffiti wall at the top counts as one full lap (0.8 miles total). There’s only one question: how many times can you run up and down this hill? It’s motivating to have somebody ahead of you to chase. It drives you to push for more, to run a little bit faster, and a little longer. Just one more! It can be as equally motivating to have somebody on your tail. Don’t quit! It pays to be a winner. And sometimes it’s motivating to just have somebody give you a high five. So give them early and often. It’s good advice for life. 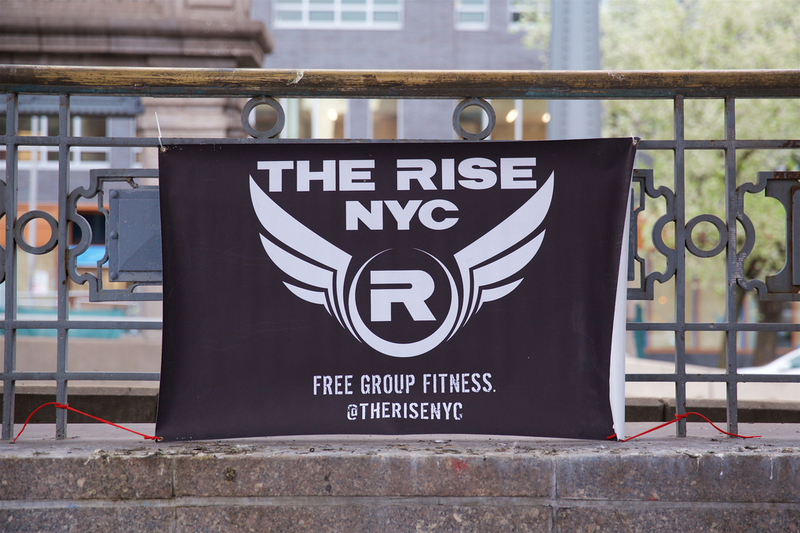 Next time you’re ready to train with some NYC hill running get your running shoes and your high fives ready. We’ll see you at the Willy B on Friday morning.